A community that prioritize fitness, health, and wellness within their lives. The National Personal Training Institute is a community of alumni, gym partners, trainers, coaches, or parents that see fitness, health and wellness education as being paramount within their lives. After you get certified online from the NationalPTI.edu – or any other Degree or Certification – we will help you find your practical hands-on externship within a gym or trainer of your choice! Join our community of like-minded individuals and let us be part of your continued professional or self-development needed to shine in this industry. 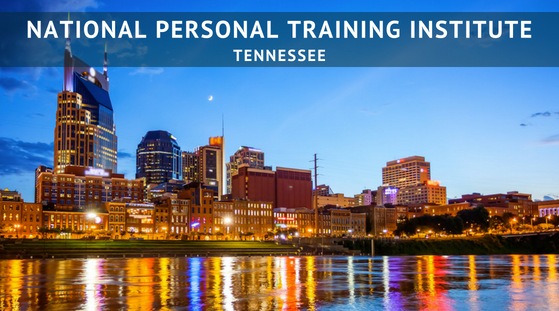 The National Personal Training Institute offers Continued Education Units (CEUs) to expand your knowledge in the fitness, health, and wellness industries. These CEUs will keep you, as a trainer/coach/athlete/parent, up to date in assuring optimal performance and health. All CEUs will allow freedom of online, self-paced learning with interactive videos to enhance your learning experience or find live workshops in your area. Go to elearning.nationalpti.org for more information on Workshops, CEUs, or Memberships for your continued professional development. Please contact Michael Knabb for more information about what the state of Tennessee has to offer. at eleifend sem, venenatis, sed id quis leo Lorem ultricies mi, ante.